Courtesy of Briggs Freeman Sotheby’s Int’l, Joan Eleazer. In the heart of Bluffview on one of the prettiest acre+ lots in the neighborhood!Custom built home on gorgeous treed,andscaped lot feels like New England.Huge great room with beamed ceiling and stone fireplace overlooks outdoor living area,pool, and grounds.Adjacent kitchen has breakfast room,fireplace, butler’s pantry and additional family room with walls of windows viewing grounds.Downstairs master has large bath with dual vanities, his and her closets, and 2 offices.Upstairs there are 3 bedrooms each with private bath, large theater room with space for a game table and plenty of viewing space.3 car attached garage is oversized.Rear stone patio stretches across back of property and overlooks pool and grounds. Please, send me more information on this property: MLS# 13933859 – $3,490,000 – 4709 Bluffview Boulevard, Dallas, TX 75209. 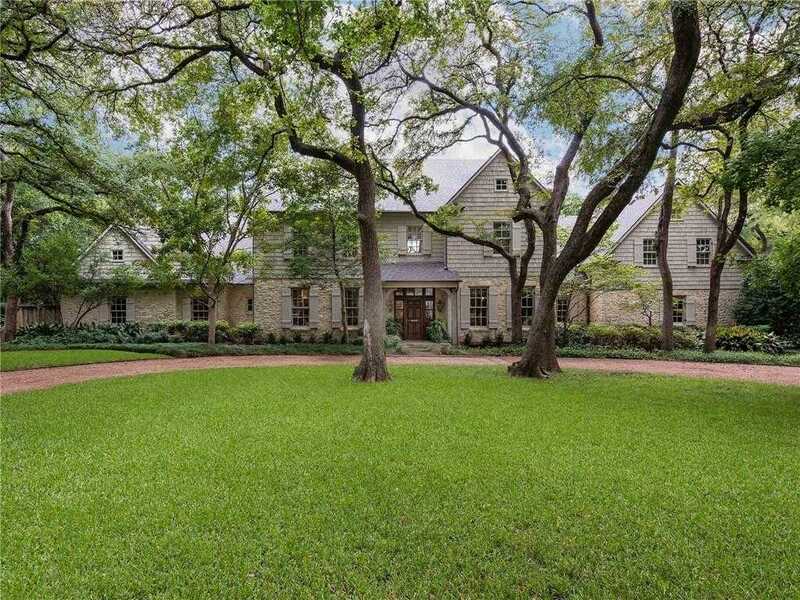 I would like to schedule a private showing for this property: MLS# 13933859 – $3,490,000 – 4709 Bluffview Boulevard, Dallas, TX 75209.